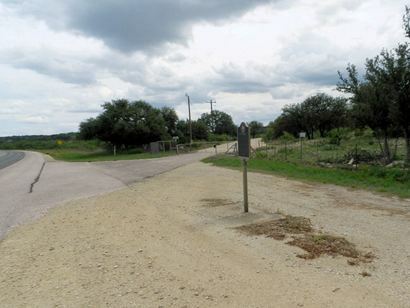 "About 200 yards west is site of ghost town Wentworth"
Wentworth formed even before the official formation of Sutton County. A.T. Winkler and family, survivors of the devastating Ben Ficklin flood, moved here in 1884. Winkler drilled a water well which attracted the attention of settlers and a community soon formed. Being literal folk, the community took the name Winkler�s Well. The year 1887 was a big one for Sutton County. It was officially separated from Crockett County and a rivalry for county seat arose between Winkler�s Well and Sonora. To curry favor with the owner of the county�s largest ranch, Winkler�s Well changed its name to honor rancher P.A. Wentworth. That year, the newly renamed Wentworth had twenty families in residence as well as a store, school, church and Masonic Lodge (the last three sharing a single building). Sonora won the county seat in 1890 and residents moved the two miles into Sonora. Within a year almost everyone had vacated Wentworth. Included was the Masonic Lodge. The post office, which operated as Wentworth in 1890, closed its doors the following year. After a few years of life in Sonora, many denizens pined for the good old days. They attempted a renewal for Wentworth, but it was too late. Wentworth started disappearing from maps around the turn of the century. 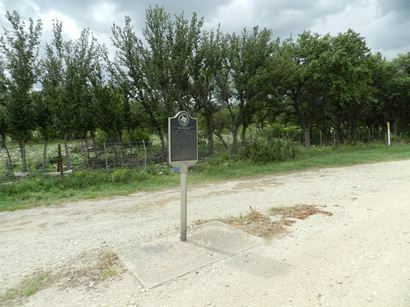 Historical Marker about 3.5 miles SW of Sonora on US 277. Situated in 1880s at water well of A. J. Winkler, who platted townsite, gave title bond, and named place for Fort Terrett area rancher P. H. Wentworth. The residents occupied tents and picket homes. Principal building was two-story school, church, and hall of Dee Ora Lodge No. 715, A.F. & A.M. Town had a post office Aug. 1890 - Aug. 1891. Postmaster was Thomas Stevenson, uncle of a future Texas governor. 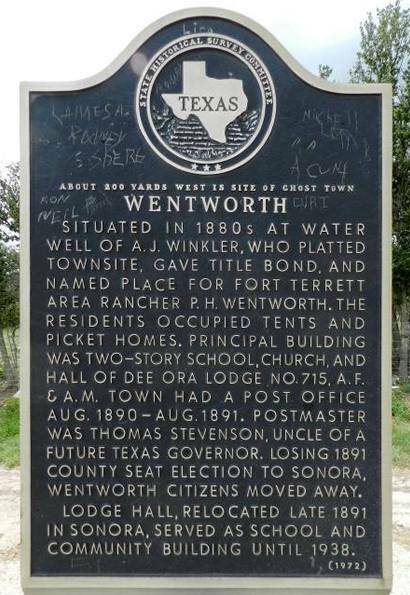 Losing 1891 county seat election to Sonora, Wentworth citizens moved away. Lodge hall, relocated late 1891 in Sonora, served as school and community building until 1938.